Can you imagine living here?? We took a steam boat ride from Port Alberni to Bamfield on Vancouver Island and after we made our stops to deliver ice to the floating gas station and mail to the floating post office, we dropped off propane to this picturesque floating home. 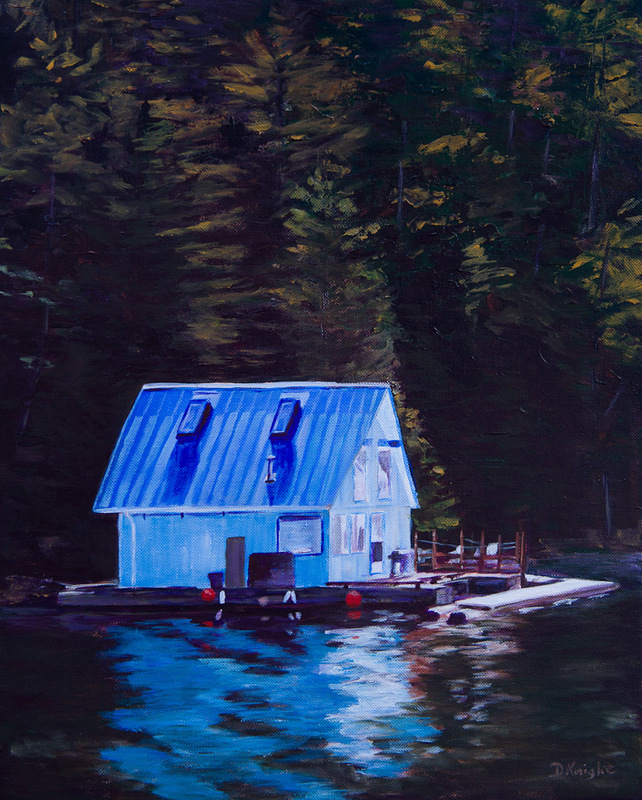 I loved the colour combination of the house with its metal roof surrounded by water, trees and the sound of nature. It was one of those images that just had to be painted.